ASMARA – A Canadian citizen, who has been imprisoned in Ethiopia for nearly 10 years, may soon be extradited to North America after officials in Ottawa signed off a request for his transfer. The request for Bashir Makhtal’s transfer has been confirmed by his cousin Said Makhtal, who received the news from Canadian officials. Canada’s Minister of Foreign Affairs Rob Nicholson and Public Safety Minister Steven Blaney have reportedly signed the request for Makhtal to be transferred. Ottawa will now lobby for Ethiopian officials to approve the transfer request. “Canadian officials will now engage with the Ethiopian government to encourage their approval of the arrangement,” Lynne Yelich, minister of state for foreign affairs, said in an email to Said. Makhtal has been languishing in a prison in the Ethiopian capital since 2007. He was initially arrested for terrorism in Kenya, but was later transported to Ethiopia – where he has been charged with sponsoring terrorists seeking to destabilize the country. Makhtal was among 41 foreign nationals arrested during a crackdown on the restive Somali and Kenyan border region. He is accused of smuggling arms for the Ogaden National Liberation Front (ONLF), an organization that has been labelled a terrorist group by Ethiopian authorities. 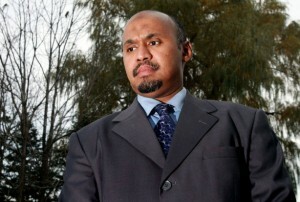 Although he denied the charges, Makhtal was found guilty of three counts of being a member of the organization in 2009. He was then sentenced to life in prison. The ONLF, which is mainly composed of members of the Ogaden clan, is fighting for autonomy from Ethiopia. While there are no apparent ties connecting Makhtal and the separatist group, his grandfather is alleged to be one its founders. 38-year-old Makhtal was born in Ogaden, an ethnic Somali region in Ethiopia. He moved to Somalia at a young age, but fled the war-torn country later in his teenage years. In 1991, he arrived in Canada as a refugee. Makhtal became a citizen of the North American country in 1994. The Canadian government and civil rights groups have been lobbying for Makhtal’s release since the beginning of his incarceration. Earlier reports noted that he was being subjected to torture. However, this has not been proven. Said, who has been lobbying for his cousin’s release, insists Makhtal was being tortured. Despite his deteriorating health, he says Makhtal did not reveal all his injuries because he feared retaliation. “They find something to do with his neck; we don’t know what it is. Maybe it could be cancer, maybe it could be something else. There is something coming out of his leg. I just found out completely the left side of his body is not doing well, because he hides it,” Said revealed in September. Said also complained that for several months Makhtal had been refused Canadian consular visits. Yelich has noted that the Canadian government places importance on Makhtal’s case and his well-being. She explained that “the government of Canada attaches great importance to Mr. Makhtal’s case.” “Canadian officials are actively seeing more frequent access to allow us to monitor his well-being and provide him with consular assistance,” Yilech added. Makhtal has always maintained his innocence – as a result he rejected a transfer deal two years ago. However, his deteriorating health has reportedly forced him to accept a new transfer deal. Reports indicate that under the terms of the prison transfer deal, Makhtal would be incarcerated for five more years in a Canadian jail. The transfer is expected to be complete by December.